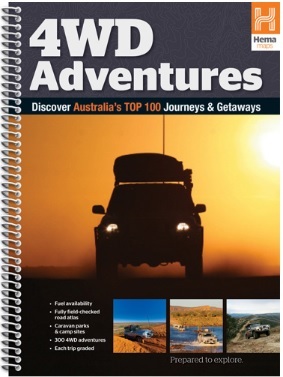 Discover Australia's Top 100 journeys and getaways with 4WD Adventures, the ultimate guide for the greatest 4WD trips in Australia. The trips are each covered in extensive detail and colour-coded for easy reference, with detailed inset maps to display each route. The book is written by some of Australia's top four-wheel driving enthusiasts and experienced travel writers, including Ian Glover, Chris Boden, Andrew Hemming, Owen Peake, Mike and Jane Pelusey, Allan Whiting and Vic Widman. The knowledge and experience that went into writing each trip description makes 4WD Adventures perfect for intending travellers to use when planning a trip and while actually touring, as well as being an inspiration to those dreaming about travelling.